Your interactive guide for maintaining a lively, robust website. Craving a website that thrives on a healthy diet of fresh content, robust functionality, and well-considered, delightful design? 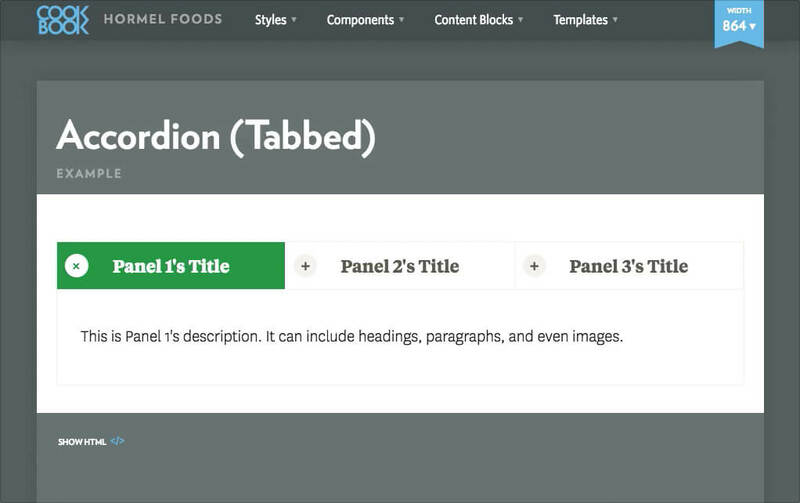 Cookbook acts as the beating heart of your site. It’s a collaborative tool that not only allows us to quickly reflect design, development, and content decisions throughout every step of the build process, it allows you to maintain it after delivery. So, once we flip the “on” switch to your beautiful new website, you have all of the resources and support you need to keep it that way. Months (okay, years?) of teamwork have been poured into creating a website that not only seamlessly delivers on your customers’ needs, but that perfectly reflects your brand’s visual identity. 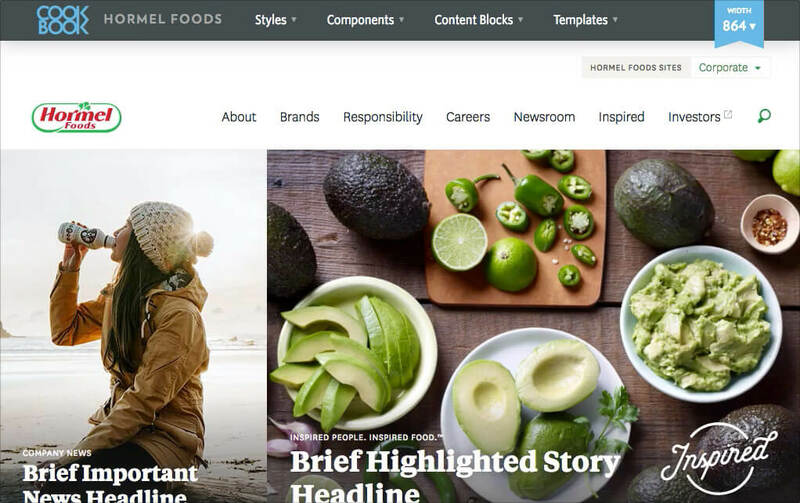 Cookbook establishes standards for seasoned site editors and instructions for onboarding new ones, so you can be sure your investment is being protected. In other words, we make it really hard to mess it up. Decisions, decisions. This is where flying without a net (or in this case, a Cookbook) can really create churn in your organization. 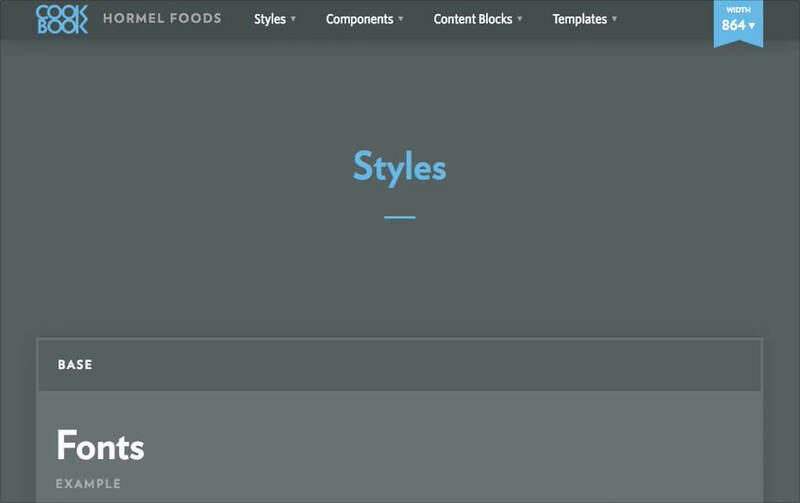 By providing responsive visualizations of your site’s building blocks, Cookbook empowers everyone from content editors and writers to developers and designers to make better, informed choices. And likely get more rest. 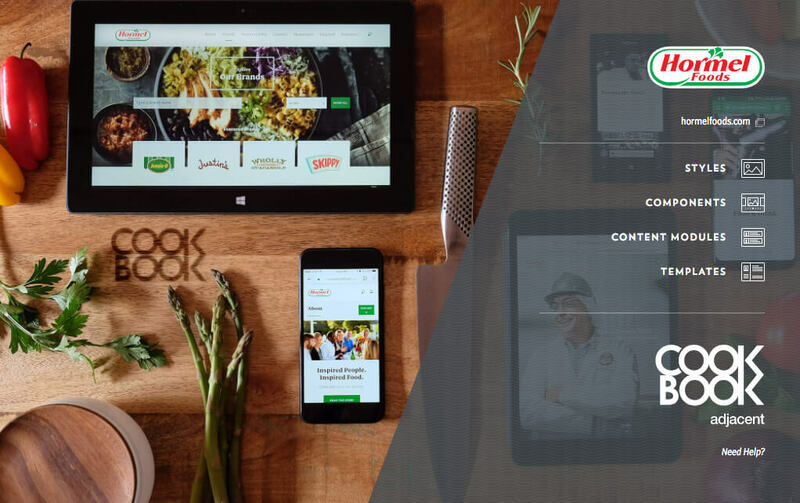 Cookbook is easily accessible online by your internal and external teams to promote shared responsibility. But rest assured, we’ll never say “Here’s your website. Have a nice day!” While you won’t be beholden to us for day-to-day maintenance, you can always count on our support as your team gets comfortable with Cookbook and as your site needs evolve. A user-friendly guide that empowers all. 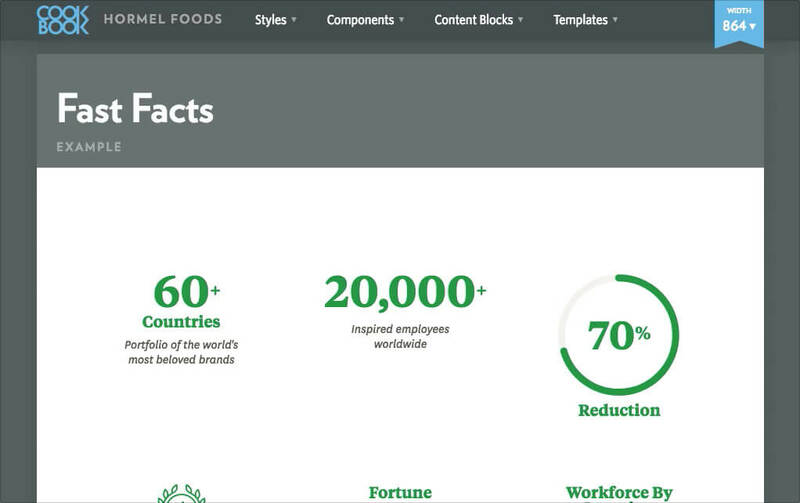 Your branded Cookbook home page is your gateway to sustaining a lively, robust website. Designers can choose from a selection of brand fonts, colors, and basic interface elements. We’ll also include asset recommendations and art direction. Developers use these pre-set groupings of individual elements, which can be easily assembled for various content functions and presentations. This list of pre-designed components makes it easy for content editors and other contributors to grab and customize to taste. Bring all of the elements and components together to create just the right layout. Is Cookbook the right fit for you? Your site is active. Weekly updates-kind of active. Sure, any site could have Cookbook behind it. However, it's tailored to help teams that are frequently updating and adding site content. You're ready for a complete redesign. Cookbook isn't an afterthought and can't be added to an existing site. It's home base throughout your new site build, start to "finish".